I have recently watched Godzilla: Planet of the Monsters on Netflix. The film explains that during the 20th century numerous giant monsters including Godzilla caused carnage on Earth. Then Two species of aliens, the Exif and the Bilusaludo, arrive with the former attempting to convert humanity to their religion and the latter seeking to colonize Earth and defeat Godzilla with Mechagodzilla. Unfortunately, the Bilusaludo are unable to defeat Godzilla with Mechagodzilla. So the aliens and humanity decide to abandon Earth and emigrate to the habitable planet Tau Ceti e which lies 20 years later and 11.9 light years away. However Captain Haruo Sakaki believes Tau Ceti E is uninhabitable and tries unsuccessfully to get the Central Committee to return to Earth. Meanwhile An emigration crew is despatched to the surface of Tau Ceti E. Then Metphies, an Exif priest, hands Haruo classified data concerning Godzilla. Sure enough Captain Sakaki’s worst fears are vindicated and Matters take a turn for the worse when tragic events unfold on Tau Ceti E. This convinces The central committee to return to Earth. Upon returning to Earth, the ship sends reconnaissance drones to survey the Earth, these reveal that Godzilla is still alive even after thousands of years. So Metphies suggests a theory which may or may not kill Godzilla and tries to secure Haruo’s release. The committee Is informed about an unusual organ in Godzilla’s dorsal fin which generates high frequency electromagnetic pulses which Metphies believes can be exploited to kill Godzilla. American Lawyer, Politician and Author John Grisham, was born February 8 1955. Best known for his legal thrillers, he. graduated from Mississippi State University before attending theUniversity of Mississippi School of Law in 1981. Grisham started working for a nursery as a teenager, watering bushes for US$1.00 an hour. He was soon promoted to a fence crew for US$1.50 an hour. He wrote about the job: “there was no future in it.”At 16, Grisham took a job with a plumbing contractor, but says he “never drew inspiration from that miserable work.”Through a contact of his father, he managed to find work on a highway asphalt crew in Mississippi at the age of seventeen. It was during this time that an unfortunate incident got him “serious” about college. A fight had broken out among the crew on a Friday, with gunfire from which Grisham ran to the restroom to escape. He did not come out until after the police had “hauled away rednecks”. He hitchhiked home and started thinking about college. Grisham’s writing career blossomed with the success of his second book, The Firm, and he gave up practicing law, except for returning briefly in 1996 to fight for the family of a railroad worker who was killed on the job. his official site states that “He was honoring a commitment made before he had retired from the law to become a full-time writer. Grisham successfully argued his clients’ case, earning them a jury award of US$683,500 — the biggest verdict of his career.” Grisham said the big case came in 1984, but it was not his case. As he was hanging around the court, he overheard a 10-year-old girl telling the jury what had happened to her. Her story intrigued Grisham and he began watching the trial. He saw how the members of the jury cried as she told them about having been raped and beaten. It was then, Grisham later wrote in The New York Times, that a story was born. musing over “what would have happened if the girl’s father had murdered her assailants”, Grisham began writing his first book A Time to Kill, in 1984 and took three years to complete it. However Finding a publisher was not easy. The book was rejected by 28 publishers before Wynwood Press, an unknown publisher, agreed to give it a modest 5,000-copy printing. It was published in June 1989. the day after Grisham completed A Time to Kill, he began work on his second novel, The Firm, this novel concerns an ambitious young attorney who is lured to an apparently perfect law firm which turns out to be too good to be true. This remained on the The New York Times’ bestseller list for 47 weeks, and became the bestselling novel of 1991. The Firm has also been adapted into a film starring Tom Cruise and a TV series in 2012 which continues the story of Attorney Mitchell McDeere and his family ten years after the events in the first novel. Beginning with A Painted House in 2001, the author broadened his focus from law to the more general rural South, however he continued to write legal thrillers and has also written sports fiction and comedy fiction. in 2005, Grisham received the Peggy V. Helmerich Distinguished Author Award. The award is presented annually by the Tulsa Library Trust. In 2010, Grisham started writing a series of legal thrillers for children between 9 and 12 years old. It featured Theodore Boone, a 13-year-old kid who gives his classmates legal advice from rescuing impounded dogs to helping their parents prevent their house from being repossessed. He said, “I’m hoping primarily to entertain and interest kids, but at the same time I’m quietly hoping that the books will inform them, in a subtle way, about law.” he also stated that it was his daughter, Shea, who inspired him to write the Theodore Boone series. “My daughter Shea is a teacher in North Carolina and when she got her fifth grade students to read the book, three or four of them came up afterwards and said they’d like to go into the legal profession. as of 2012, his books had sold over 275 million copies worldwide. a Galaxy British Book Awards winner, Grisham is one of only three authors to sell 2 million copies on a first printing, the others being Tom Clancy and J.K. Rowling And eight of his other novels have also been adapted into films: The Chamber, The Client, A Painted House, The Pelican Brief, Skipping Christmas, The Rainmaker, The Runaway Jury, and A Time to Kill. His books have been translated into 29 languages and published worldwide. His latest novels include The Whistler and Camino Island. 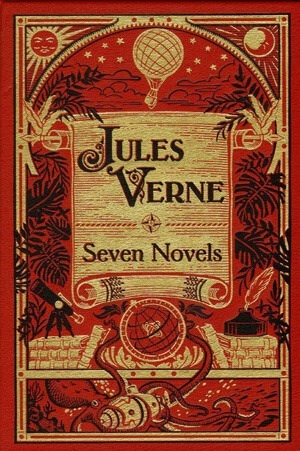 From then on, Verne published two or more volumes a year. The most successful of these are: Voyage au centre de la Terre (Journey to the Center of the Earth, 1864); De la Terre à la Lune (From the Earth to the Moon, 1865); Vingt mille lieues sous les mers (Twenty Thousand Leagues Under the Sea, 1869); and Le tour du monde en quatre-vingts jours (Around the World in Eighty Days), which first appeared in Le Temps in 1872. The series is collectively known as the Voyages Extraordinaires (“extraordinary voyages”). Verne could now live on his writings. But most of his wealth came from the stage adaptations of Le tour du monde en quatre-vingts jours (1874) and Michel Strogoff (1876), Many of his novels involve elements of technology that were fantastic for the day but later became commonplace. He is the second most translated author in the world (after Agatha Christie). Many of his books have also been adapted into live-action and animated films and television shows. 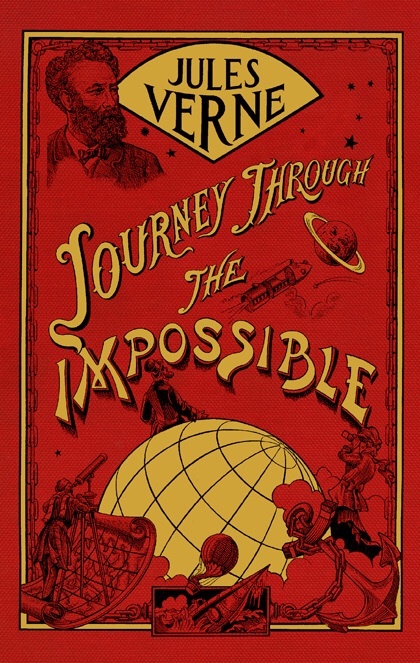 Verne is often referred to as the “Father of Science Fiction”, a title sometimes shared with Hugo Gernsback and H. G. Wells.